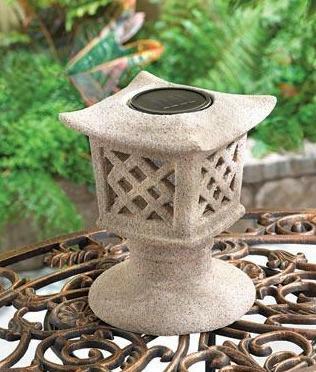 Accent your patio, deck or pillar day and night with this ceramic solar pagoda light. 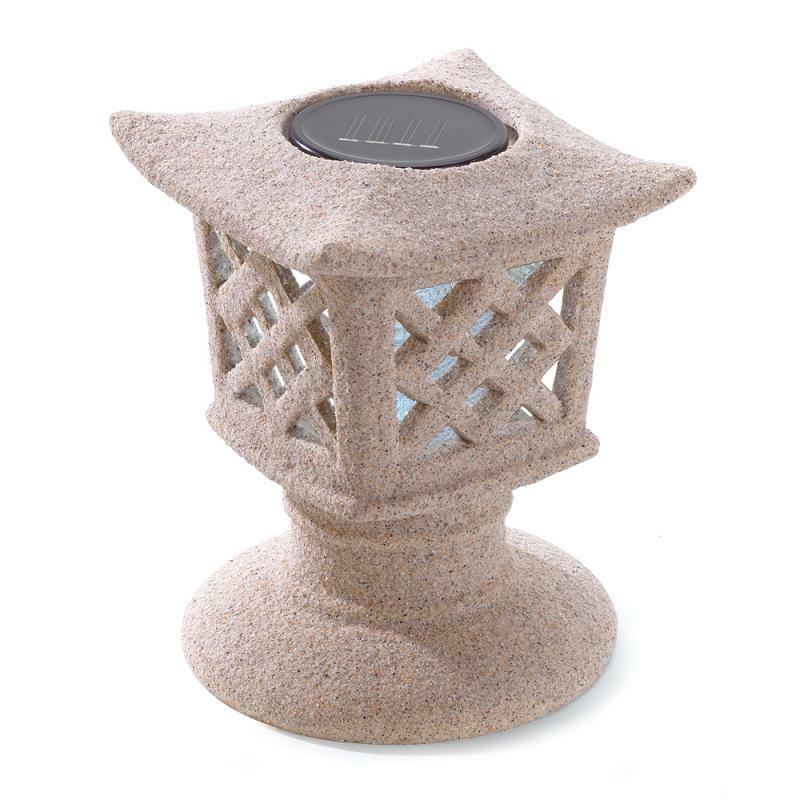 This decorative solar pagoda light resembles a sand-cast temple lantern, with the lattice cage that decorates this light features a super bright LED for bright nighttime illumination providing up to 6 hours of light at night. Add this ceramic solar light to a tabletop for an ancient centerpiece or place on any flat surface to accent your deck or patio. During the day this solar light uses the sun energy to charge the installed rechargeable batteries then as night falls the solar light will automatically illuminate casting a checkerboard design on your tabletop or any other surface the solar light is placed on. Provides up to 6 hours of light per night when fully charged.